Are you in need of some braai recipe inspiration? Adding a bit of tequila marinade to pork ribs sure does the trick! 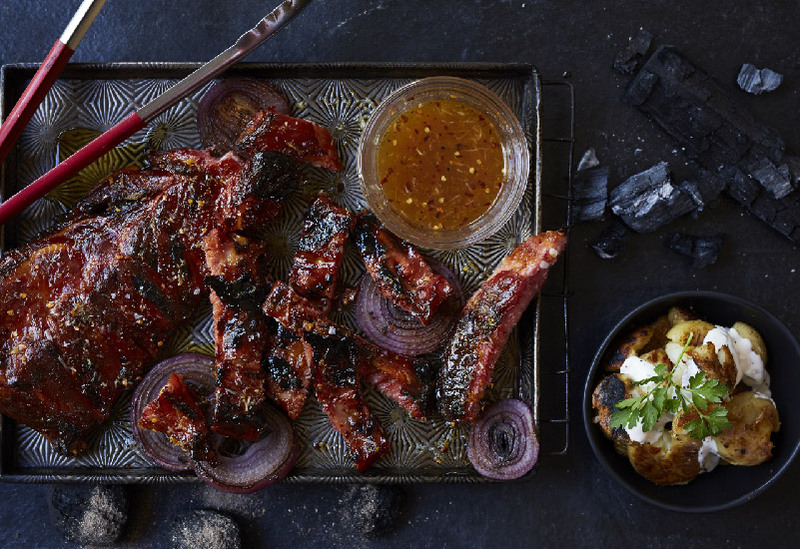 Woody’s Smoked Pork Ribs, from our Smoked Braai Range, get an irresistibly flavourful treatment with this easy to make recipe. Place all the marinade ingredients in a bowl and mix to combine. Place the ribs in a large baking dish and pour the marinade over. Cover the dish with plastic wrap and leave to marinate overnight or minimum 3 hours. When your fire is ready, place the marinated ribs over the hot coals and continue to baste with the leftover marinade, making sure you turn the ribs regularly to evenly coat. At the same time, place the rounds of onion on the braai to cook through. Grill both the ribs and onions for roughly 15-20 minutes and then take off the heat but keep warm. To finish off the baby potatoes, place them on a greased baking tray and give them a gentle push down with a fork until they just burst. Place the baking tray onto the braai with a little olive oil, salt and pepper. The potatoes are ready when they have a crusty cooked bottom. You may finish this step using an oven if you prefer. To serve, cut up the ribs and serve with the griddled rounds of red onion, and smashed potatoes topped with lashings of herb mayonnaise.